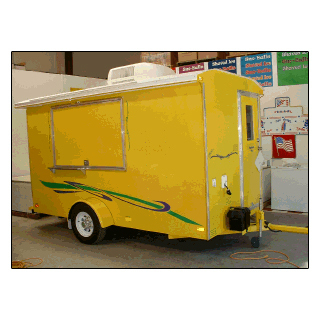 This hand-built 6 foot by 12 foot shaved ice and snow cone trailer comes with all the amenities to start a mobile business. 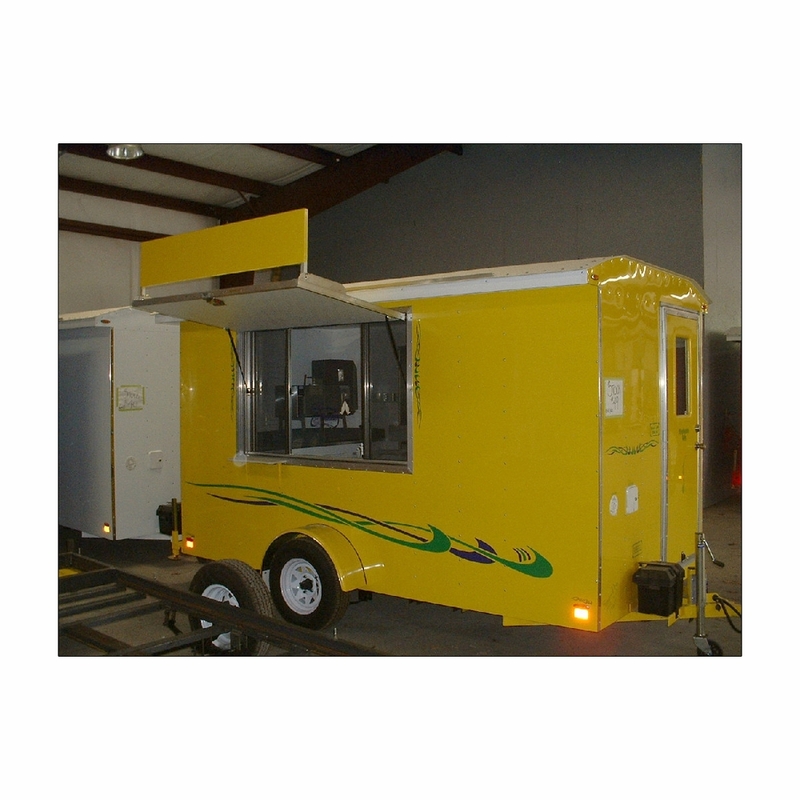 Each trailer comes with a serving window awning door, a three-compartment sink, a hand-wash sink, a 1500-watt fast recovery hot water system, air conditioning, a built-in cash drawer and everything else you need for efficient production and service. 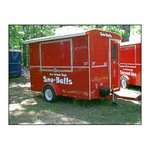 this eye-catching snow cone trailer is the cream of the crop of custom-made concession trailers. Available in five vibrant colors, this self-contained shaved ice trailer spares no expense whatsoever. It also comes with an outside menu board light, bottle racks, fluorescent indoor lighting and a variety of other trappings that are made specifically for shaved ice and snow cone vendors. 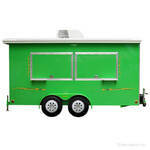 Outside height with air conditioning unit: 9'2"
Weight of trailer (empty): 2660 lbs. This item may be delivered by the manufacturer or picked up by the customer in Alabama. If delivery is needed, a fee is applied. Fees are based upon current gas prices and may range from $1.25 - $1.75 per mile to the destination. Depending on availability, trailers are typically ready for pick up or delivery in 4-6 weeks. Arrangements must be made with the manufacturer for pickup and delivery.